I’ve said before that the British right need to get a lot smarter if they’re to claw back any of the territory they’ve lost to the left in the past couple of decades, which is pretty much all of it. A few days ago Nigel Farage launched his Brexit party with a speech which immediately triggered outrage among establishment politicians and their lackeys in the media. This was predictable, and a sign that those opposed to Brexit will do anything to shut down the debate especially if it’s headed by someone like Farage with the knack of drawing a crowd and getting them to vote. One hopes that those running the Brexit party knew this would happen and planned for it. The correct response to the faux outrage is not to highlight the many instances of racism, antisemitism, and incitements to violence on the part of the left, but to reframe every conversation, question, and remark back towards Brexit. As soon as they start explaining they’re playing the left’s game, and they’re not going to win by painting them as hypocrites. That only works with people who have shame and principles, and Farage’s opponents have none of either. Rather than react to the media, Farage needs to take a leaf from Trump’s book and make them chase him. This means avoiding interviews and appearing on panel shows. Let’s be honest, nobody watching the BBC, Sky News, or Channel 4 is ever going to see something that makes them vote for Farage, so he has nothing to gain by cooperating with them. He needs to understand he’s not leading a normal party, so he can’t expect to behave like he is. He should let the mainstream media run with their lies and smears, because this will serve the dual purpose of keeping his name in the headlines and making them look ridiculous. Again, Trump has shown how this can be done. Instead, Farage should take to social media and podcasts to speak to his supporters, who will quickly learn where they can find him. Farage must not play their game, if he does he’s toast. He’s a smart chap when it comes to politics and he’s spent time around Trump. It’ll be interesting to see what he’s learned since June 2016. 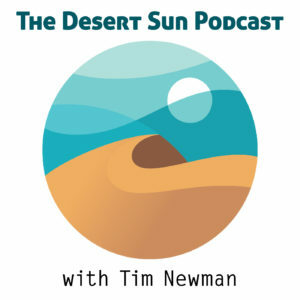 Which podcast should Farage go on – The Desert Sun Podcast maybe? As an aside, May has stated that she will step down after Brexit. So that means she will cease being the leader of the Conservative party when they screw the coffin lid down on her. Yes! I was scheduled to another of those yesterday but my guest bailed on me. It might get redone on Friday. All absolutely spot on. Thankfully, Farage isn’t from the PPE school of constantly apologising to his enemies. Yes, I agree. This is single-issue politics, and the way to succeed is to ruthlessly filter out distractions. There is now an opportunity for something better, and something better is sure needed. The trouble with UKIP as a single issue party, as it was up to the referendum, was that it’s internal disagreements blew it apart once the referendum was won, and it hence ceased to apply pressure even on that issue. UKIP have been reformed since and are pursuing the working class vote- which isn’t much into academic socialism, sucking up to Islam nor even Unions any more. The Brexit party should concentrate on the middle class vote-, and classical liberal economics. IMHO people vote against a party more than they vote for one. If a previous Labour voter can vote against the Tories without voting Labour that will encourage a previous Conservative voter to vote against Labour without voting Conservative. Between them the Brexit party and UKIP can roll up the establishment- but they need something to offer after independence. Stick to Brexit right now. That’s the lightning rod for 3rd party support and it’s what is causing huge divisions in the Conservatives. You won’t get more people on side with anything else. I think there’s going to be a real opportunity to build a new party of the right because so much trust in the Conservatives has been destroyed. They’ve had ample chances over the past decade to really grasp the nettle of the EU and failed every time. Maybe. There is a lot of anecdotal evidence to support the idea that people mostly vote the way their parents voted. How else to explain that there still is a Conservative Party? That parental inheritance can change. Think about how the SNP eventually replaced Labour in Scotland. But that kind of transfer of party allegiance is slow — might take a generation or two. As for Nigel — only 37% of Brits voted for Leave in 2016, and it is probably a good guess that those voters had several different versions of Leave in mind. If the Brexit Party is to succeed, they will need to start unifying the 37% on what particular flavor of Leave people really want, and winning hearts and minds among the 28% of Brits who decided not to vote in that Referendum, and trying to win over some of the 35% who voted Remain but might be now totally disgusted with the mess the Political Class has made. Assuming that NF is not a tool of the security services (or has not been co-opted) then I do think that he can make this work. And I agree that he will only make it work by avoiding the customary propaganda channels. He will be subjected to two lines of attack. First, the mandatory “racist, bigot, nazi” cudgels. Secondly, the accusation that his party is a “single issue” movement (and this will mostly come from the Tories) and, hence, reprehensible in some way. NF must resist being drawn into the “policies” quagmire because that he is where he will actually be slashed to pieces. In any event, dispositions only matter when victory has been secured. Arguing over them beforehand is a recipe for failure. Astute! Perhaps the answer would be for Nigel to lead a “Brexit Movement” rather than a conventional political party? In every constituency, the BM (hmm! Need to think about that name) would endorse any candidate who is strong on the endorsed flavor of Leave, and campaign appropriately in that specific constituency. If all candidates are good on the issue, BM endorses them all and puts no further effort into that constituency. If none are, BM runs a candidate in opposition to them all. alarmingly for the Tories, their prospects for the European elections appear dire. Only 17% of those certain to vote said they would choose the Conservatives in the European poll, while 29% would back Labour, and 25% either Ukip (13%) or Nigel Farage’s new Brexit party (12%). Batten, Farage and AMW need to put ego aside and agree to stand as one. The problem with that approach is the these hacks tend to be led by their career interests and the party whips. That means they can promise one thing when they’re stumping for votes and then stab us in the back once they’ve won.